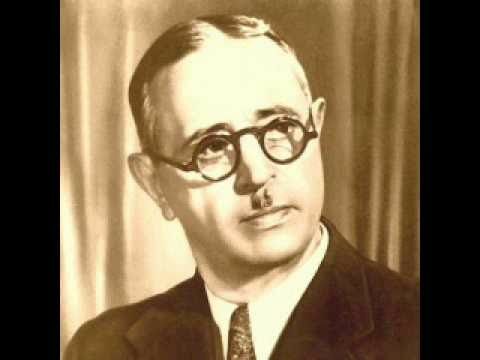 Born in 1885 in the heart of the ancient Azerbaijani Khanate of Karabakh -- Shusha -- Uzeyir Hajibeyli’s outstanding musical talent started a revolution in the Azerbaijani musical timeline. He was the very musician to introduce an extraordinary innovation in the nation's music culture, to constantly refresh it, and adjust to modern tastes. He was a founder of an opera genre not only in Azerbaijan, but the East and created the first Muslim opera in the Islamic world. He occupied himself in almost every facet of music culture, and was a great conductor, publicist, playwright, teacher, and translator. Hajibeyli was born to an intellectual and well-to-do family that was closely related to the famous Azerbaijani poet and public figure Khurshidbanu Natavan. Familiarity with Natavan opened doors for young Uzeyir to enter the best music communities in Shusha -- a cradle of music which is quite fairly called "National Conservatory." The idea of the Azerbaijani opera was born in the heart of Uzeyir at age 13, when he watched a dramatization of the story of Majnun at Leyli's Tombstone in Shusha. Remembering the occasion, Hajibayov wrote, "That performance affected me so much that when I came to Baku years later, I decided to write something like that." The 22 year-old Hajibeyli eventually accomplished a brilliant feat of music, composing the first opera of the Muslim East based on the story of Leyli and Majnun. A Romeo & Juliet-esque story of love that premiered in 1908, the opera was set to poetic verses by the 12th century poet Nizami and later by 16th century poet Fuzuli. Leyli and Majnun laid the foundations of mugham opera and national opera in general. The "Koroghlu" opera is truly the best example of the composer’s creativity; an original masterpiece in which he has expressed in the musical form ideas that excited him like the heroics of the famed Koroghlu himself. This opera won love of all Azerbaijani people in a short time and marked a new stage in development of the Azerbaijan art. “Koroghlu" is a national folk product in which the composer managed to very realistically portray the people’s struggle for freedom and independence and create bright and historically truthful national images. The composer describes his work at the opera: "While working on Koroghlu, I have put before myself an object to create a national opera using the achievements of modern musical culture. To put forth such an idea, the composer was required to undergo not only serious theoretical preparation, but also a deep understanding of national creativity, mastering of that style, which enables us to speak with people in an understandable language... It was important to penetrate the opera with breath of national music." "Arshin Mal Alan" or The Cloth Peddler was the latest and one of the most popular operettas of the eminent composer. The comedic and romantic operetta premiered in Azerbaijan in 1913, thus becoming the first operetta in the entire Muslim world. The opening aria of Asker (the main hero in the operetta) and many other vocal numbers were performed in a purely European style. At the same time, their music was peppered with national flavors. Written in 1910, “If not this one, that one” was the composer’s second musical comedy. It is considered one of the most courageous and principled works in theater arts of pre-revolutionary Azerbaijan, where Hajibeyli was able to show the social and domestic conflicts in Azerbaijan in the 19-20th centuries. His kindness stands out, as does his progressive and liberal attitude towards women, especially for the time and region. Through his music as well as work as a journalist, teacher, and translator, Hajibeyli played a vital role in the fight against illiteracy and helped usher in a cultural shift, launching a period of enlightenment that transcended Azerbaijan’s borders and reached many others in the Eurasia region. Thanks to these steps Hajibeyli, received the approval of the nation, leaving behind immortal and experimental pieces of music. Compositions such as Fantasias, Jangi, Ashig’s trio, Arazbari and others are considered as some of the musical masterpieces of all time.